A staggering 45,000 small businesses (around 1% of the UK's 4.5 million) are still having to rely on dial-up connections, according to a new report by the Federation of Small Businesses (FSB). 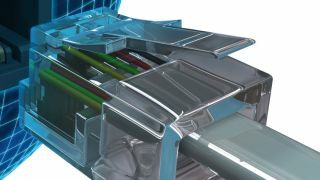 In its report, titled 'The 4th Utility: Delivering universal broadband connectivity for small businesses across the UK', the FSB claims that the UK's broadband infrastructure is not 'fit for purpose' and has called for the Government rethink its current strategy. The Government's broadband policy, which is being delivered by Broadband Development UK (BDUK), is aiming to deliver 24Mb to 95% of premises by 2017, and 2Mbps to the remaining 5%. Does the UK need high-speed rail or high-speed internet? That target is "not sufficiently ambitious", according to the FSB, which has suggested that the Government should set a medium-to-long term objective of providing a minimum speed of 10Mbps to all premises by 2018-2019, regardless of location, increasing to 1Gbps by 2030. It also highlighted the need for the UK's digital infrastructure to be future-proofed to meet the demands of businesses in the future and suggested that fibre broadband is delivered to all business parks throughout the country as a priority.